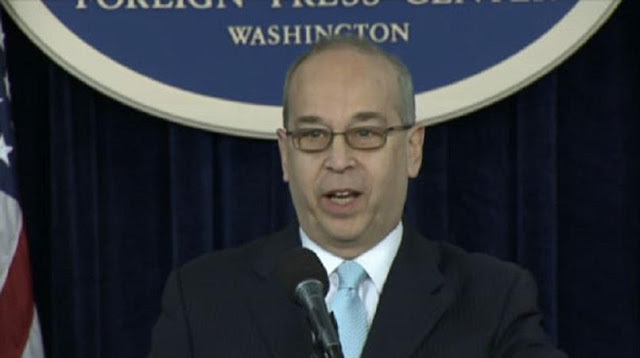 U.S Assistant Secretary of State for East Asian and Pacific Affairs Daniel Russel will travel to Apia, Samoa; Nuku'alofa, Tonga; and Koror, Palau, from 20- 25 February for bilateral meetings and regional consultations. Commander of the U.S. Pacific Fleet Admiral Scott Swift will accompany Assistant Secretary Russel. This high-level trip demonstrates the United States’ enduring commitment to the Pacific Islands region and the whole-of-government approach to enhancing our bilateral political, economic, and security relations in the Pacific. The trip also underscores continued U.S. support to the issues that are of utmost importance to the Pacific Islands, including climate change, the ocean, maritime security, women’s empowerment, sustainable development, and health. In Apia, Samoa, Assistant Secretary Russel will meet with Samoan government officials and visit U.S. Government-supported projects that bolster security, women’s empowerment, and environmental protection. In Tonga, Assistant Secretary Russel will meet with Tongan government officials in Nuku'alofa and visit a USAID coastal community adaptation project site in Popua. In Koror, Palau, Assistant Secretary Russel will meet with the president of Palau and senior officials, make a televised address to a joint session of the Palauan legislature, and have bilateral meetings with the presidents of the Republic of the Marshall Islands and the Federated States of Micronesia who will be in Palau for the Micronesian Chief Executives’ Summit .